This article was prepared by Yeshu Desikan, CWWA, a Certified Ambassador of Workplace Wellness COE’s Workplace Wellness Ambassador Certification Program. The inspiration for this article came from her insightful responses to our program’s online discussion activities. 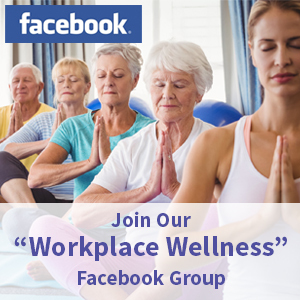 Workplace Wellness Centre of Excellence Inc is most honored to have her present her interpretation and application of our Healthy & Vibrant Workplaces model by way of this article. We are likewise most proud of the efforts and dedication put forth by each of our trainees in our Ambassador Program and we wish each of them much success in their efforts in helping to create healthy, engaged, high performing workplaces. The Workplace Wellness COE Model of Healthy and Vibrant workplaces is a conceptual framework that identifies the necessary components of creating an optimal environment in which both employees and the organization as a whole can thrive. These components consist of Organizational Supports, Wellness & Safety Programs, Healthy Work Cultures and Engaged and Productive Employees. As a Wellness Ambassador, I (Yeshu Desikan) can readily see the value in investing in all these key components to assist organizations in achieving their highest potential. Here, I would like to discuss some of the ways that I would address each component of the Workplace Wellness COE model. An organizational support that can be part of creating a healthy work environment is the implementation of mentoring programs. These programs not only raise employee engagement and productivity, but also strengthen the knowledge base and competency of employees. There is an old adage that says The best way to learn something is to teach it. Through the process of mentoring, the mentor stays current and continues to sharpen their skills and talents. They also feel recognized and held in esteem for their knowledge and expertise. From the perspective of the mentee, it sends a message that they are valued individuals and that the organization is making a conscious commitment to fostering their professional and personal growth. A newer concept in mentoring, reverse mentoring, is quickly gaining momentum as the rapid growth of technology becomes more ubiquitous in the workplace. Reverse mentoring is where a younger and usually more technologically adept employee assists an older and more experienced employee in learning how to use technology to maximize their expertise at work. These types of reciprocal mentoring programs cultivate a rich environment for learning and assimilation of knowledge, experience, and wisdom through conversation and connectedness. This is a win-win for everyone on many levels. Historically, health and safety protocols have been largely skewed towards reducing risk more than promoting good health. The focus (particularly in Canada), has primarily been on hazardous, noxious and toxic materials on the worksite and accident reduction. Although risk reduction programs should be considered non-negotiable, there is a growing awareness of the need to foster a culture of both employee and organizational health and well-being as imperatives to employee safety and prevention. Companies need to start looking beyond incident reports and recognize the significance of optimizing the physical, mental and emotional health of their employees. This can be accomplished by bringing in experts in wellness education such as nutritionists, fitness trainers, counselors and qualified wellness ambassadors such as Workplace Wellness COE’s Certified Workplace Wellness Ambassadors to design and deliver customized, employee-driven wellness programs. Here is something we too often forget: Managers are people too! They have spouses, children and ailing parents and can have tremendous stress from work. I feel that a lot of discussion has been given to what management needs to do to build company morale and make sure that the voices of all levels of workers are heard. Companies need to recognize the pressure on their management team and provide them with appropriate tools and resources. Research has shown that some of the most important traits of a successful leader are high social and emotional intelligence. Organizations could bring in experts to educate managers on how to cultivate these traits. Sharpening these skills would empower managers to be more mindful of how they interact with employees, improve their communication skills and be able to better manage interpersonal conflicts. Working for someone who remains level headed, listens with empathy and treats people fairly can make an enormous contribution to creating a positive and healthy work culture. Another way to accomplish this is to laugh more! It’s easy to administer and requires no resources except for your own sense of humor. Again, it’s an old adage that is worth its weight in gold, Laughter is the best medicine. I won’t go into all the health benefits of laughter but in short, it affects our physiology and makes us healthier and happier and quite frankly makes us more pleasant to be around. One idea would be for a company to have an LOL Committee as part of a comprehensive wellness initiative. This committee could be responsible for sending out funny You Tube videos or other humorous photos and quotes. This would be a great way to get started with changing the culture from feeling tense, stressed and apathetic to feeling safe, interested and productive. Laughter is contagious and can organically bring a new spirit of engagement and fun into the workplace. Autonomy is vital to creating an environment of empowerment, motivation and engagement. In order to do this, managers need to be clear about work expectations and outcomes. They should also ensure that employees have all the resources and tools available to them so that they can be successful at their jobs. One final critical factor is that employees should feel like they are trusted and able to produce high quality work. Management can certainly be held responsible for consciously implementing policies and procedures to empower employees but one unequivocal factor remains – the employee. One of the things which stands out to me about the Workplace Wellness COE Model is that it includes the employee as an integral driver of healthy, engaged and vibrant workplaces. As I mentioned earlier, there has been a lot of burden on management to deliver, but employees also need to take ownership of their attitudes and behaviors. We don’t want to take that away from employees otherwise we create a space of learned helplessness and victim thinking. Employees need to bring their own self-awareness and level of commitment to the equation. They need to feel that they have the freedom to choose the environment in which they work and also be creators of that environment. No matter how many brilliant wellness programs a company brings in, ultimately it depends on the employees own motivation and intellectual and emotional fortitude. I would like to share my own experience to illustrate this: As a workshop facilitator at a vocational rehabilitation facility, I have met several injured workers who felt dis-empowered by their situation. Some expressed confusion and indignation, and questioned why they were in the program. Other’s felt resigned to doing jobs that were suggested to them but had no personal interest in. Confusion, indignation and resignation are all sentiments that leave people feeling powerless, which only limits vision and creativity. I always showed compassion and empathy for their situation but I also reminded them that they are in charge of their own lives. If they didn’t understand something, I always encouraged them to speak up and ask – why? If they were not happy with the recommended job, then I pointed out that there is nothing stopping them from doing their own research into something more meaningful to them. I always reinforced to them that they are in the driver’s seat and no one else is going to be as committed to their happiness and well-being as themselves. It is through this process of respectfully challenging limiting beliefs, that people gain a new perspective and take more responsibility. All of the components identified by the Workplace Wellness COE Model are interconnected, interdependent and reliant on the conscious effort of all employees of every rank from customer representatives to middle managers and the C-Suite. The synergy that emerges from nourishing all of these components is what creates a truly healthy, engaged and vibrant work culture. 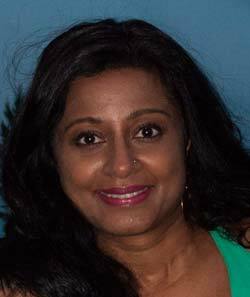 Yeshu Desikan, B.Sc., CWWA is an experienced facilitator with a passion for bridging the world of science and holistic health. Her aspirations include developing programs that blend alternative therapies, traditional wisdom, and evidence-based research to help people live more conscious and purposeful lives. She became a Certified Workplace Wellness Ambassador of Workplace Wellness COE’s Workplace Wellness Ambassador Program in March, 2015. 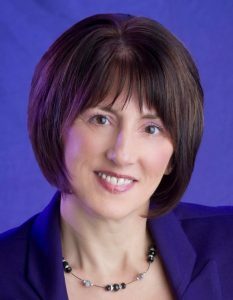 Lisa Kelly, MEd, RHN, CWWS, President of Workplace Wellness Centre of Excellence is an International Workplace Wellness Consultant, trainer, coach and program developer. She is Founder of the Workplace Wellness Ambassador Certification Program and creator of the Workplace Wellness COE Healthy & Vibrant Workplace Model. 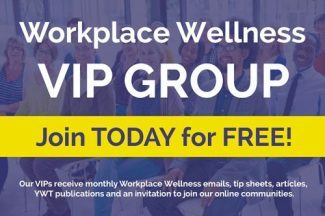 Her dynamic workplace wellness programs help cultivate healthy, thriving work cultures that foster employee and organizational performance and growth. For more information on Workplace Wellness COE Workplace Wellness Programs or our Ambassador Program visit, www.workplacewellnesscoe.com or email info@workplacewellnesscoe.com.